If you’re in the market for a new single-18650 device, this one is probably worth checking out. 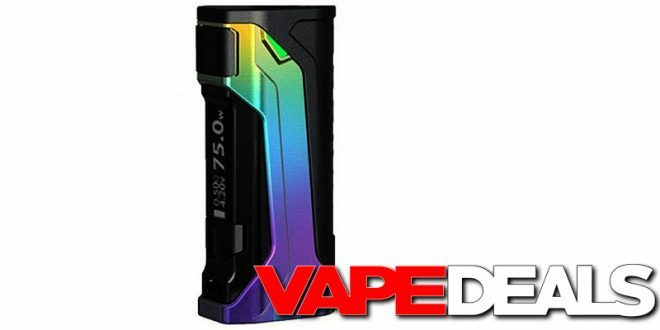 The Wismec CB-80 Box Mod is currently on sale over at Breazy for $19.99. 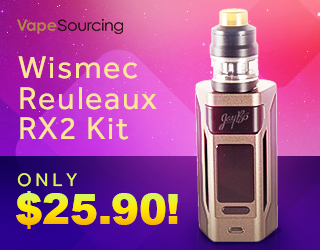 Even better: apply coupon code “VAPE.DEALS10” at checkout and the price drops down to only $18! Sounds like a solid deal to me. There is one catch though: the only colorway available is rainbow. If that’s ok with you, stop by and claim one for yourself before they sell out. And don’t forget to check out their Tax Day Sale while you’re there too (ends TODAY! ).